Rev. Richard P. McBrien, Crowley-O’Brien Professor Emeritus of Theology at the University of Notre Dame, died Sunday (Jan. 25) after a long illness. He was 78. A native of Connecticut, Father McBrien earned his bachelor’s degree from St. Thomas Seminary in Bloomfield, Connecticut, and a master’s degree from Saint John’s Seminary in Brighton, Massachusetts. He was ordained a priest of the archdiocese of Hartford, Connecticut, in 1962 and three years later earned a doctorate in theology at the Gregorian University in Rome. 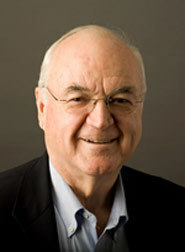 Father McBrien joined the Notre Dame faculty in 1980. He served as the chair of the Department of Theology for 11 years and as chair of the Faculty Senate for three years. He previously served on the faculties of Boston College, where he was director of the Institute of Religious Education and Pastoral Ministry, and Saint John’s Seminary. He was the first visiting fellow in the John Fitzgerald Kennedy School of Government at Harvard University during the 1975-76 academic year. A prolific writer, Father McBrien was the author of 25 books, among them Catholicism, Lives of the Saints, Lives of the Popes and The Church and Politics. He also served as the general editor of The Encyclopedia of Catholicism and for nearly 50 years wrote a weekly column that appeared in Catholic newspapers nationwide. His areas of scholarly focus were ecclesiology, the relationship between religion and politics, and the theological, doctrinal, and spiritual dimensions of the Catholic tradition. One of the most widely quoted members of the Notre Dame faculty, Father McBrien regularly provided print and broadcast media outlets with commentary on all matters related to the Catholic Church. Arrangements are pending. A memorial Mass will be celebrated at Notre Dame’s Basilica of the Sacred Heart in coming weeks. Originally published by Dennis Brown at news.nd.edu on January 25, 2015.